Router falls in love with IP cam. 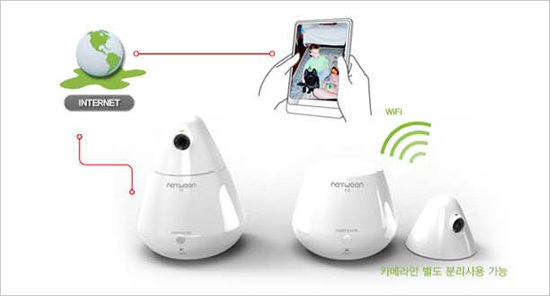 Wire/Wireless router + IP cam + Smartphone App. 2. Solving the IP cam’s problem. 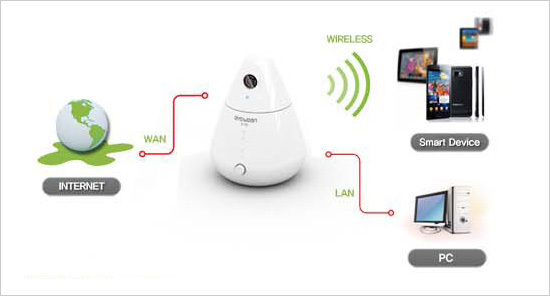 No need additional cost : It is different from the other IP cam which needs a router, just once buy and can use. Easy to setting : No complex setting steps, and internet cable. 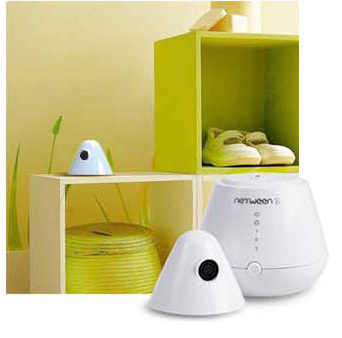 Separate to use : Because of an inner battery, you can separate the IP cam and put nearby you want. 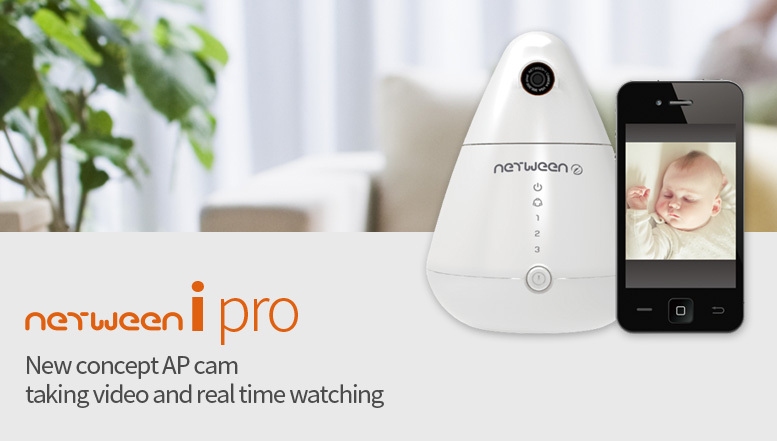 Unique design : As different from the existing IP cam, good-looking shape. It also could be used kind of an interior accessory.